The Gorham High School class of 1963 is planning a 50th union celebration on Saturday, July 13, at Linda Faatz’s home on Flaggy Meadow Road. Other reunion activities could include a breakfast and a tour of the building where the class attended junior high school. The building, which had double sessions, was also the high school. The building has since been transformed into Gorham Municipal Center. 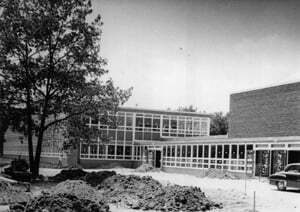 The class of 1963 was the first freshman class to enter the new high school, which opened in the fall of 1959. For more reunion information, call Ken Knapton, class president, at 797-7602, or Martha Towle, 831-7185. Contemporary women poets will be the subject of a program by Rachel Flynn at the North Gorham Public Library at 7 p.m. on Thursday, Jan. 10. A resident of North Gorham, Flynn is an award-winning, published poet. She has taught poetry at Northwestern University and was recently named Gorham Artist in Residence by the Gorham Arts Alliance. For more information, call 892-2575. A prayer support group for those battling cancer that began in 2009 in Gorham has reached out to several New England communities. Den Morton of Gorham, who founded the Gorham group, reported recently that every day of the week Maine has 22 new cases of cancer and eight deaths. Morton said the prayer support groups now have “helped folks” in Greenville, Portland, and Houlton in addition to Rochester, N.H., and Ipswich, Mass. He said new groups this year will be started in Auburn and York in Maine; Exeter, N.H.; and St. Albans, Essex, Sheldon and Burlington in Vermont. Between 12 and 20 members of the Gorham group, Morton said, get together the first Tuesday of each month for prayer and sharing. For more information about the Gorham group or to start a group in another community, call Morton at 222-2566. A program about the history of skiing in Maine will be presented when Gorham Historical Society meets at 7 p.m. on Monday, Jan. 14, in the Gorham Savings Bank Operations Center on Gray Road (Route 202). Gorham has two upcoming public meetings. Gorham Public Works Department is hosting a public meeting at 6 p.m. on Tuesday, Jan. 15, in the Gorham Municipal Center, 75 South St., to hear comments on a rail trail project. The trail will run easterly along a former railroad bed from New Portland Road to Hutcherson Drive in the Gorham Industrial Park. Gorham is also holding a public hearing at 5 p.m. on Thursday, Jan. 17, in the Old Robie School, 668 Gray Road, in Little Falls to answer questions and hear comment about a streetscape beautification project in the South Windham Village and Little Falls corridor. Those unable to attend can submit comments or suggestions to David Galbraith, Gorham zoning administrator, at 222-1621 or email dgalbraith@gorham.me.us. The Bureau of Public Debt reported on Jan. 3 that the U.S. public debt was $16,431,219,143,696.53. The way it was – members of the graduating class of 1963 became the first freshmen class to enter a new Gorham High School that opened in 1959.